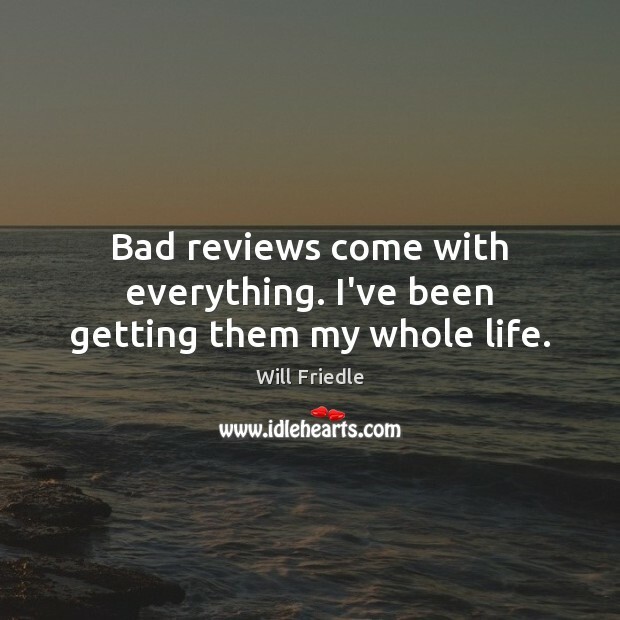 Quotations about Bad Reviews. Quotes to stimulate mind and drive action! Use the words and quote images to feed your brain inspiring things daily! 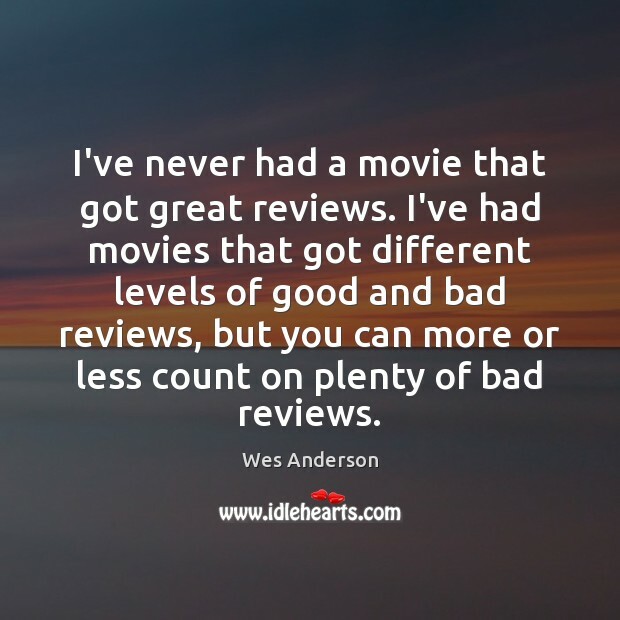 And it's always possible that you will not get a nice review. 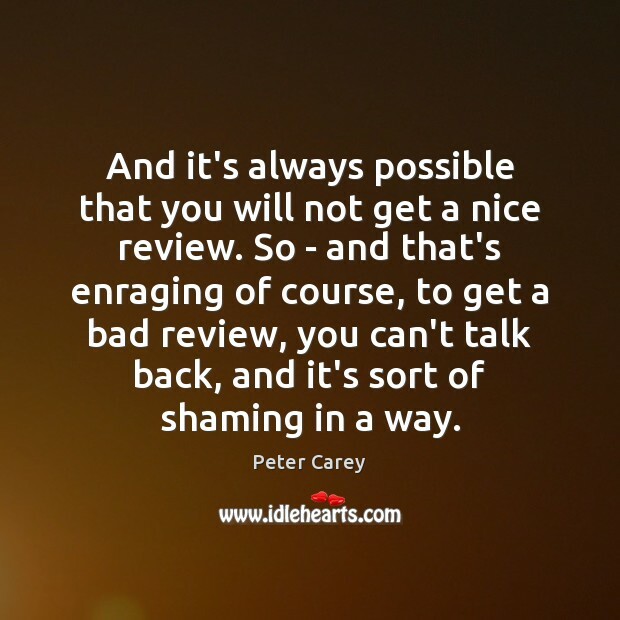 So - and that's enraging of course, to get a bad review, you can't talk back, and it's sort of shaming in a way. 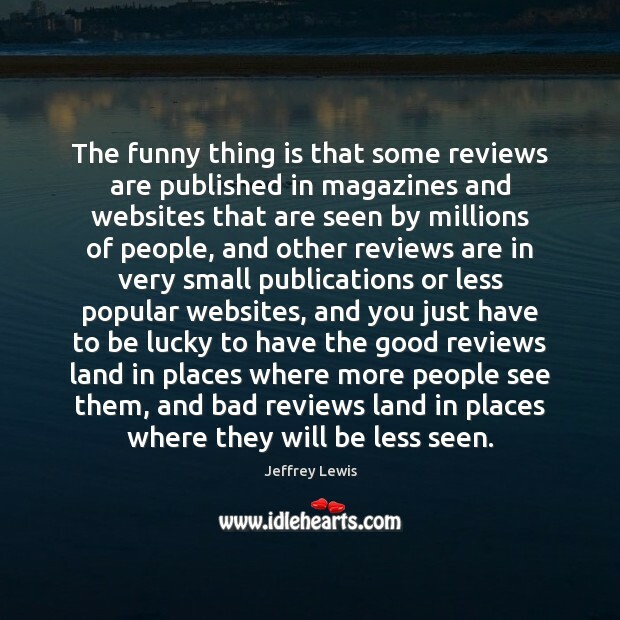 The funny thing is that some reviews are published in magazines and websites that are seen by millions of people, and other reviews are in very small publications or less popular websites, and you just have to be lucky to have the good reviews land in places where more people see them, and bad reviews land in places where they will be less seen. 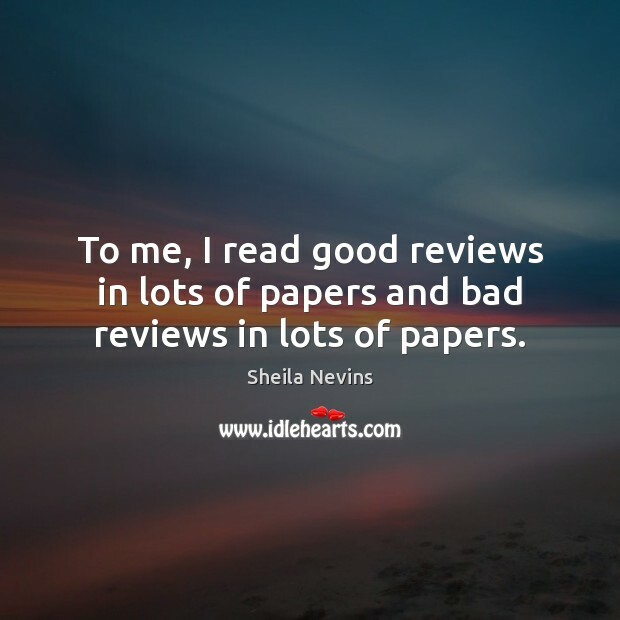 To me, I read good reviews in lots of papers and bad reviews in lots of papers. In my memoir, I admit that I've been as fearful of success as of failure. 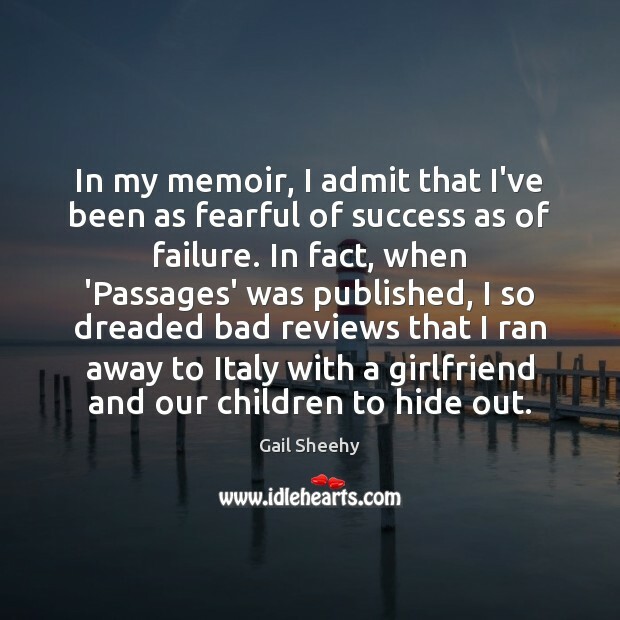 In fact, when 'Passages' was published, I so dreaded bad reviews that I ran away to Italy with a girlfriend and our children to hide out. 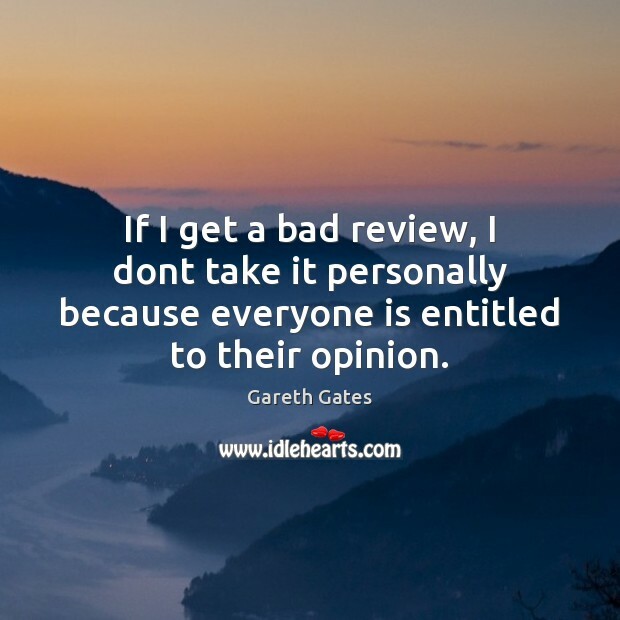 If I get a bad review, I dont take it personally because everyone is entitled to their opinion. 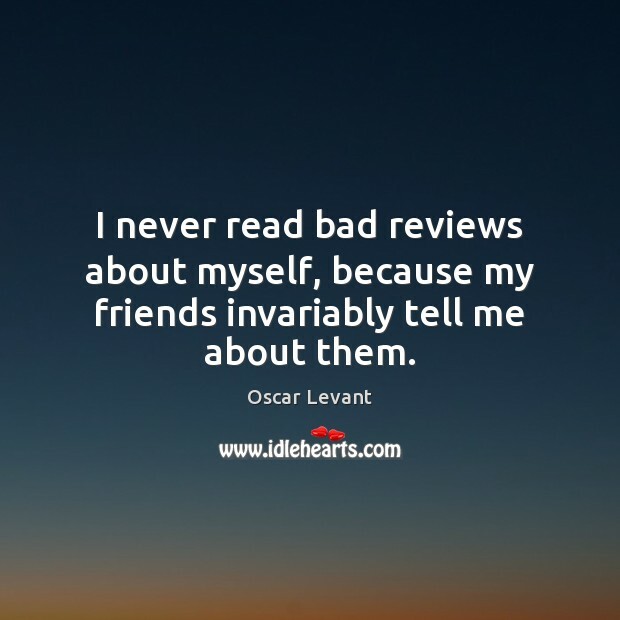 I never read bad reviews about myself, because my friends invariably tell me about them. 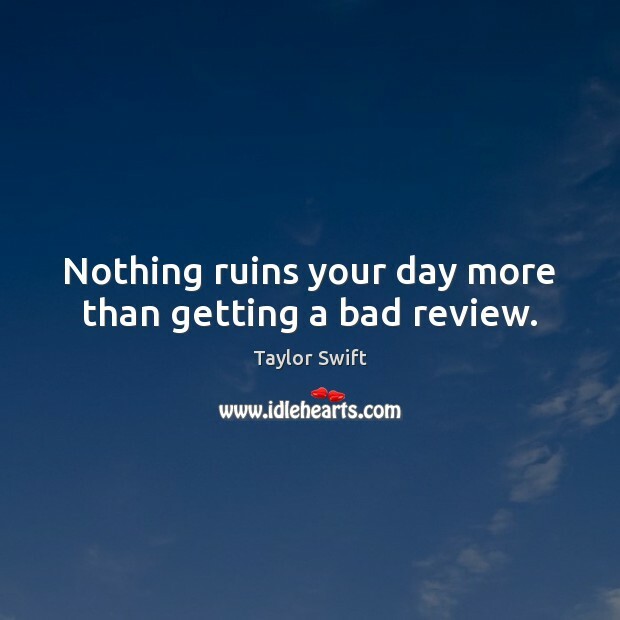 Nothing ruins your day more than getting a bad review. 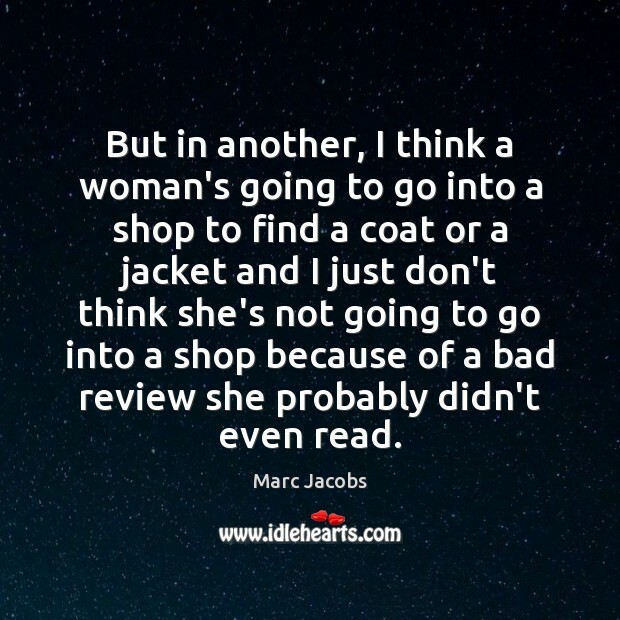 But in another, I think a woman's going to go into a shop to find a coat or a jacket and I just don't think she's not going to go into a shop because of a bad review she probably didn't even read. It doesn't bother me. Sure, everybody wants approval, but I came from the theatre and I've always treasured a remark from there which goes: 'For every six people who love you, there will be half a dozen who loathe you.' The quality of an author's work is not usually determined until after his death. 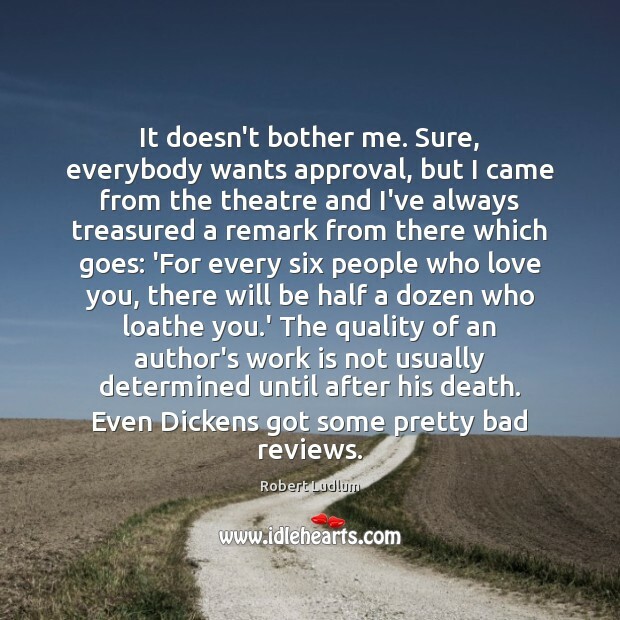 Even Dickens got some pretty bad reviews. Whoever writes a bad review, I put their name on a list, and they're going to get taken care of one day down the road. Otherwise, I don't let it bother me. The truth is, these are review-proof movies. The audiences are going to see it. 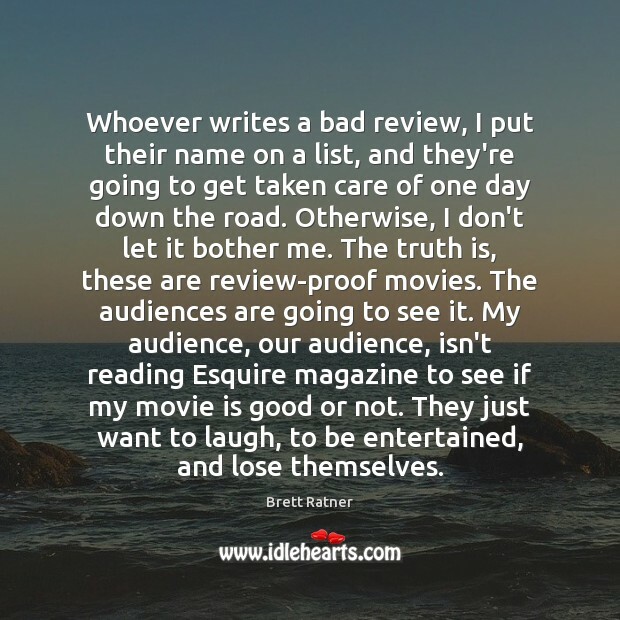 My audience, our audience, isn't reading Esquire magazine to see if my movie is good or not. They just want to laugh, to be entertained, and lose themselves. 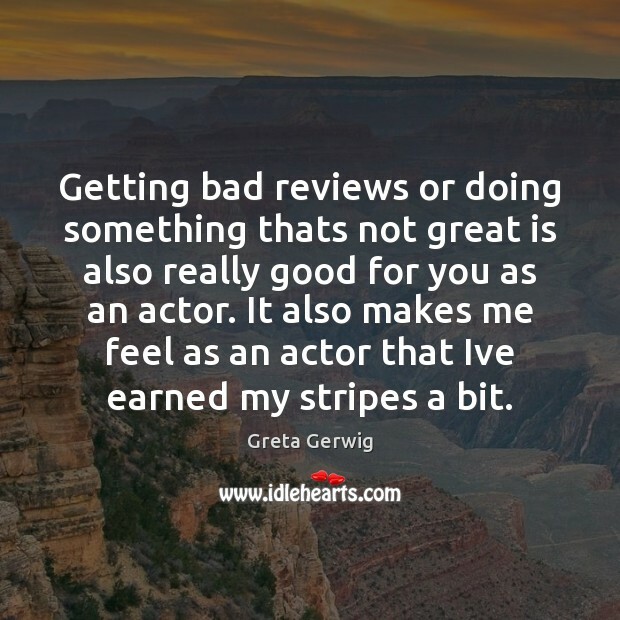 Getting bad reviews or doing something thats not great is also really good for you as an actor. It also makes me feel as an actor that Ive earned my stripes a bit. 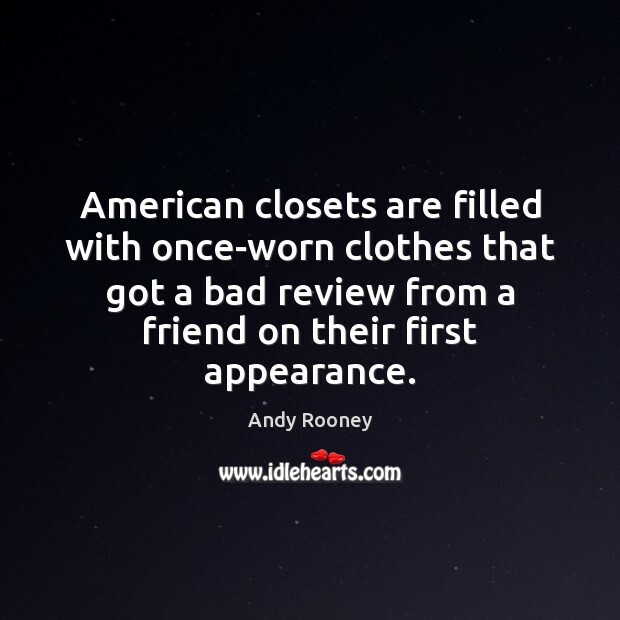 American closets are filled with once-worn clothes that got a bad review from a friend on their first appearance. 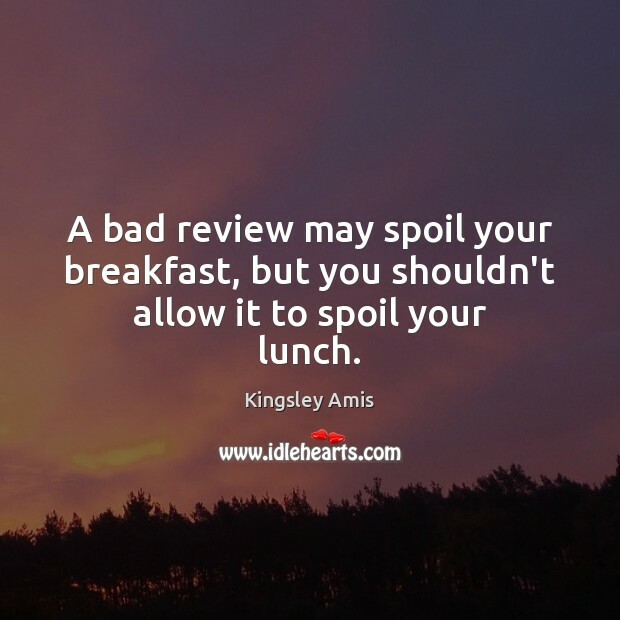 A bad review may spoil your breakfast, but you shouldn't allow it to spoil your lunch. 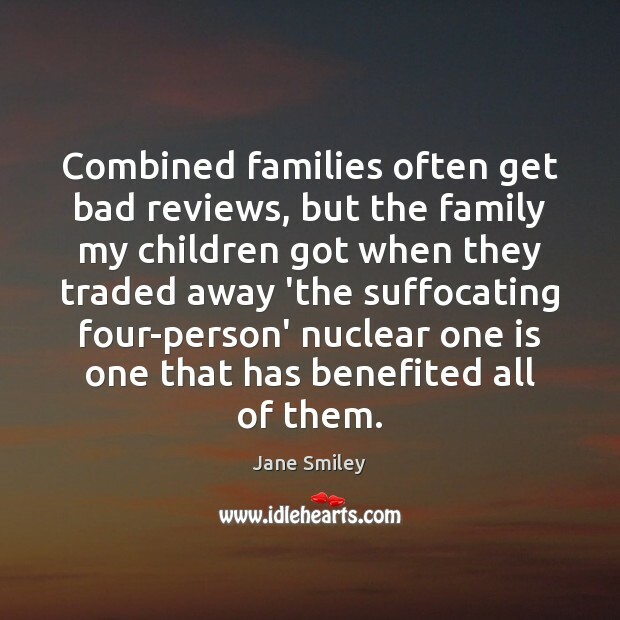 Combined families often get bad reviews, but the family my children got when they traded away 'the suffocating four-person' nuclear one is one that has benefited all of them. Bad reviews come with everything. I've been getting them my whole life. 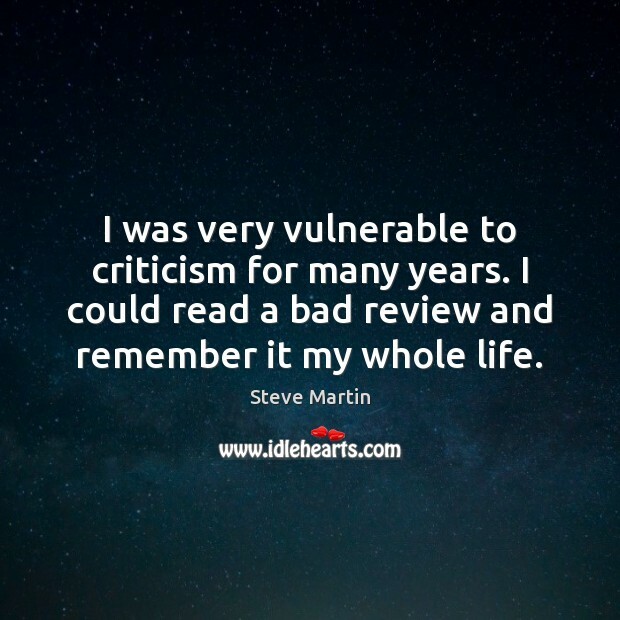 I was very vulnerable to criticism for many years. I could read a bad review and remember it my whole life.